The main theme of this book is mysteriosophy or the knowledge of mysteries or mystical facts, especially the mystical facts that lie at the basis of all religions and spiritual heritages, both Eastern and Western ones. Steiner goes over the Socratic, Platonic and Egyptian mysteries as he builds his way to the Christian mysteries, always with a view to explaining how the facts of the spiritual world are not directly accessible by sensory perception. What directly accessible means is a tricky issue. For myself, although I have no consciousness of super-sensible perception, I have come to understand how certain attractions, such as to flowers, originate in a bleed-thru from some unconscious super-sensible sight. [page 12] In ignorance of what being is, sense falsely tells us that what appears is. This reminds me of the famous statement by Francis Bacon who said in his condemnation of Aristotelean science, "I will not be held accountable to the very tribunal that is on trial." Aristoteleans could only understand the world in the light of Aristotle's science, and materialistic skeptics of today can only interpret the world in the light of Francis Bacon's sensory based science, up until now. But all is not lost, because even the most materialistic of us, unable to see into the depths of the river of life, are enchanted by the sparkling lights that dance on its surface. [page 13] To attain insight is to unfold a new organ, an event comparable to a plant unfolding the color of its blossom out of its former green and leafy state. [page 18] The skeptics . 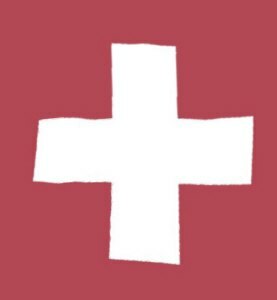 . . resembled a plant rejecting its own colorful flower because it felt complete with its green leaves, and therefore regarding anything more as "illusory appearance!" I can just hear my favorite skeptics as they read this, thinking, "How cute! Steiner's waxing poetical with the metaphors again. When is he going to say anything of real substance?" They would be betraying, by their own metaphor, the concrete thing-ness of their substance-based understanding of the world. They, who are always looking to add an additional leaf to their philosophy are unable to create a truly new leaf, which is what a flower is. To understand the process that unfolds in the blossoming of a flower is to understand the entire evolution of the universe. For this process of flowering, in which the leafy plant reaches to create something that is unlike itself, requires it to reach into a higher plane, the astral world, for help, and when that help is bestowed on the plant, the flowering stage may proceed. And a glow of astral light hovers around the flowers. It is our innate response to this astral glow that causes us to use flowers to commemorate births, weddings, celebrations, and deaths. For we humans are always like the leafy plant reaching above ourselves for the guidance and assistance to move into our flowering stage. In growing plants, the etheric body is strongest and most present during the leafing stages. All its etheric energy wants to create more plant, more of its body, more of its stems and leaves. Unless some help is given by an astral force, one that necessarily transcends the etheric and physical bodies of the plant, the plant stays stuck in the leafing stage, and dies in the winter, unprepared, and without progeny. On Earth Day folks all around this globe gather to bemoan the loss of plant species that are disappearing by exactly that process. All the etheric energy of the plants are not enough to produce anything more than beautiful leaves and death of the species. Something more must be added. And that something more can only come from an infusion of astrality from beings that currently exist with astral bodies and so have astral forces at their disposal. Animals, humans, and on up the evolutionary scale all have astral forces. Someone who can see these astral forces in nature can easily observe the astral glow around flowers. Those of us who can't see the astral glow are nevertheless drawn to the flowers. What would a birthday, wedding, prom night, Mother's Day, Christmas, Easter, or funeral be without flowers? How empty without the hint of astrality — of astral forces present in the flowers! Bees are animals, and in their visits to flowers, bring their astrality in contact with the flowers and leave some of their astral glow. Humans admiring flowers in a garden impart some of their astral glow. With this booster shot of astral forces, the plant is now able to rise to its next level of evolutionary development: astrality, for a moment, a very important moment. And in that important moment, the plant creates a seed. It should be obvious that there are seeds that, materialistically perfect in every respect, are yet infertile, and no amount of soil, warmth, watering, or sun will cause them to grow. Farmers know this and plant more seeds than they need, or select the seeds very carefully from seed companies who know how to infuse astrality into seeds so that more will grow. But what is a fertile seed, seen in its spiritual reality? It is a small physical object, infused with an immanent etheric body, with a transcendent astral body of the plant-to-be glowing and hovering around it! The astral body cannot fit into the seed! It's too big! There is nothing the plant can do with its physical or etheric bodies, both of which reside easily within the seed, to create a fertile seed that will create new plants in the next spring after the original plant has ceased its physical existence and returned its etheric body to the group soul of the plant in the Earth. It's impossible, as impossible as it would be for a child to read, if it were left in a room full of books as soon as it was born, food shoved under the door, etc, so it could live. Then we would know what was the natural language of the child by what book it would be able to read. Frederick the Great did exactly that experiment and all the children died. So the plant needs astral forces to pro-create and those forces must come from outside of itself. The plant can pass along those forces immanent in itself, physical and etheric, but needs an infusion of the transcendent [to the plant] astral forces to pro-create. In this simple process, rightly understood, is the entire process of evolution revealed. From Saturn to Vulcan, from earliest physical body to the most distance future of spiritual evolution. At each stage an infusion from above is necessary for the move to the next stage. What is it about our pets that most attract us? When they exhibit a semblance of a human "I". At that point, one can imagine an egoic glow around that animal. As humans when we are filled with inspiration and intuitions, no doubt an angelic glow can be seen surrounding us. The auras of the Saints in artworks are pictorial representations of that supersensible glow. [page 21] Initiatory knowledge is thus an actual event in the cosmic process. It is the birth of a divine child — a process just as real as any natural process. The great secret of the mystai [mystics] was precisely this, that they creatively release the divine child in themselves. [page 27] "Eternity," says Heraclitus, "is a child at play. It is the reign of a child." The beginning of error lies in taking too seriously a great deal that does not deserve it. God has poured himself out into the world of things. To treat things seriously, apart from God, is to make them into "tombs of the divine." To disport ourselves with them like a child is to turn our serious intent toward rediscovering the underlying divinity, the God who sleeps spellbound in things. Surely a serious plant would look with disdain on one of its fellow plants that was so frivolous and playful as to create flowers all over itself. "Come back down to earth! Make some more green leaves! That's how to really live!" And yet, that is the very advice that comes from Lucifer and Ahriman, the higher beings who, like Icarus, tried to fly too high, and were doomed to roam the face of the earth. It is the advice of one who tried and failed in starting a new business, and now says, "A good job with a regular salary, lots of greenbacks [leaves] — that's where it's at!" Such is the one who plays the game of "More of the Same" — life will always fall short of the flowering stage, which requires something different, something from without, a quantum jump to a new level. [page 161] This universal soul is the Logos, and if the Logos is to become flesh it must be through the repetition in fleshly existence of the macrocosmic events, being nailed to the cross and rising to a new life. When I read the above quote, I saw the whole devolution of Christ: from the time Christ entered the physical body of Jesus during the Baptism by John in the Jordan until the time the earth swallowed up His body in the tomb. In entering the body of Jesus, Christ filled the Ego Body [Human Stage of Evolution] of Jesus, which Ego Body had earlier left his body and entered that of his mother. [See ARJ, The Fifth Gospel.] As the events leading to the Mystery of Golgotha unfolded, Christ moved down through the levels of evolution. He was made to carry a huge wooden cross like a beast of burden [Animal Stage of Evolution] while being beaten with lashes. Then He was nailed to a wooden cross that was stuck in the ground in an upright position. He hung there, alive but immobile, like a being in the Plant Stage of Evolution. Later in the tomb His dead body entered the earth during an earthquake and returned to the Mineral Stage of Evolution. Thus the Bible story of the Way of the Cross shows us how Christ moved completely down the scale of Human Evolution. [page 163] The point is precisely that a thinking purified of all sensory content is the prerequisite of "higher knowledge," whose psychic content does not cease when it is no longer shored up by impressions from the senses. Here Steiner makes it clear that the skeptics who claim that spiritual science is somehow not a real science because it is devoid of sensory meaning and confirmation are actually half right. Spiritual science is necessarily devoid of sensory meaning and content. What makes it a science is the same thing that makes quantum mechanics a science. Experiments in quantum mechanics require specialized tools and instruments to record the transitions of subatomic quantum events. Without the subtle instruments, quantum mechanics would be devoid of verifiability. 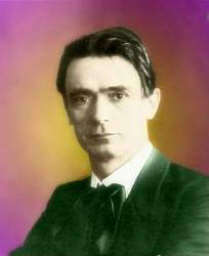 So, too, with spiritual science whose instrument is that most subtle of all instruments, the human being. Verifiability comes from humans who, taking similar paths, come upon similar truths during the process known as initiation. Steiner makes the point many times in this book that the initiatory paths of all religions and mystery schools have similar roots and processes. And at the bottom of all the processes is the individual human being who becomes the measuring instrument of the ultimate reality of the universe. 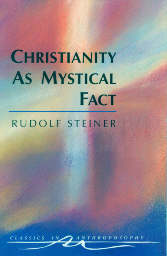 It is Steiner's avowed design in the writing of this book "to show how Christianity came into being, from the standpoint of a mystical awareness" [page 176] — such mystical awareness being a way of becoming a human measuring instrument of the spiritual ultimate reality of the universe. [page 182] If we were really to follow in the footsteps of the great figures, the towering geniuses of modern science, we would apply to spiritual life the same approach they brought to bear on nature. [page 183] That would lead in the domain of spiritual life to a method of investigation as different from purely natural science as is geology from theoretical physics, or evolutionary theory from advanced chemical research. It would lead to higher methodological principles, which would certainly not be identical with those of natural science, but would be in agreement with all that we really mean by scientific inquiry.